I’d like to introduce a very good friend of mine as a Guest blogger today. This article was originally posted on Flor’s blog. It is a great way to introduce Healing Touch to others. Here are 10 reasons why you should consider Healing Touch as part of your wellness routine. 1. Promote wellness and healing at all levels: physical, mental, emotional and spiritual. 2. Relieve stress, tension and anxiety. Healing Touch is very effective in relieving stress because of its capacity to “turn on” the relaxation response. This is a deep state of relaxation of body and mind where neither of them is over-active. 3. Trigger the body’s inner repairing mechanisms. Our body knows how to heal and repair itself. During a Healing Touch session, the brain releases neurochemicals that counteract the fight or flight response caused by stress. These trigger a chain reaction of beneficial physiological changes that promote body repair and healing, putting the body in the best possible position to heal itself. 4. Reset our “inner computer” so we can feel well again. Healing Touch is based on the premise that we have a subtle energy system whose balance is closely linked with health and well-being. Healing Touch techniques are able to restore a proper energy flow to make us feel emotionally, mentally and physically well. “I hadn’t rested so well for a long time” or “I feel like a new person” are very common comments from clients after a session. 5. Help us connect with that quiet center within and open up to new insights and ideas. Healing Touch can bring a deep sense of calm and inner peace. A healing Touch session provides the time and the space for you to let go of worries and cares and feel calm, grounded and centered. This can open our mind to new insights and ideas, either during the session itself or the days that follow. 6. Offer specific techniques to deal with specific problems. Healing Touch stands out in the field of Energy Healing for its collection of techniques (over 35) designed to bring general balance and healing to both body and mind, or to target specific issues, bodily functions and organs. Some examples are: back and skeletal issues; lymphatic, nervous or immune system imbalances; headaches, lack of focus and concentration; general cleansing and detoxing; dealing with trauma, anxiety, stress and depression; assisting the body while undergoing medical treatments, like chemotherapy or radiotherapy, and pre and post-surgery. 7. Is supported by research. Healing Touch research has been conducted in a wide variety of settings and with a number of different problems and situations. 8. Is widely accepted by and respected among the medical community and it is offered in hospitals and clinics around the country. 9. Has a Scope of Practice and Code of Ethics. 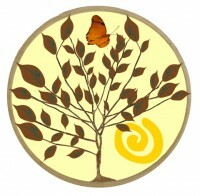 All Healing Touch practitioners abide by a professional Scope of Practice and Code of Ethics. 10. Has recognized Credentials and Endorsements as a continuing education program through Healing Touch Program. Healing Touch Program is accredited as a provider of continuing nursing education by the American Nurses Credentialing Center’s Commission on Accreditation. The National Commission for Certifying Agencies (NCCA) has granted accreditation to the Healing Touch Program – Healing Touch Certified Practitioner (HTCP) for demonstrating compliance with the NCCA Standards for the Accreditation of Certification Programs. Healing Touch Program is approved by the National Certification Board for Therapeutic Massage & Bodywork (NCBTMB) as a continuing education Approved Provider (#150588-00). Healing Touch Program has been peer-reviewed, and is endorsed by the American Holistic Nurses Association (AHNA) the Canadian Holistic Nurses Association (CHNA). Thank you Flor for sharing your insights with us.